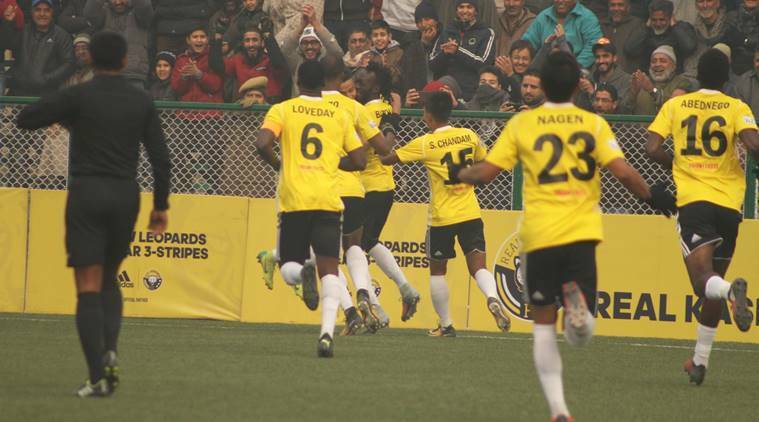 Real Kashmir beat Chennai City FC to throw the title race wide open. The defeat has made it tight at the top again. Chennai City FC were in a relegation scrap last season. There was little to choose from between them and Churchill Brothers. Gokulam Kerala and Indian Arrows enjoyed relegation immunity making even an 8th placed finish a potential relegation. 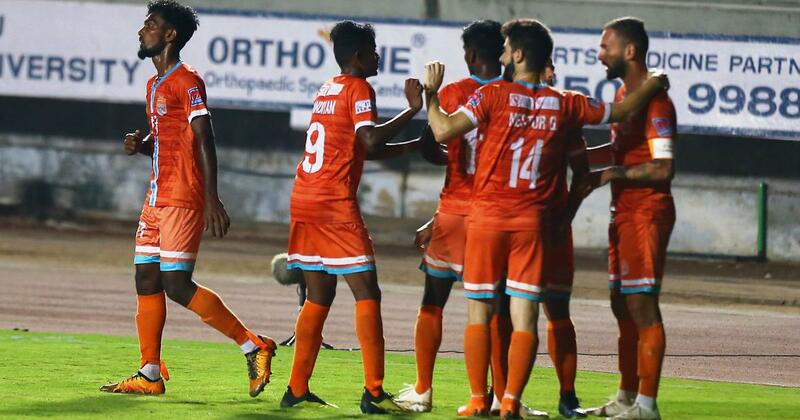 In the end, Chennai City FC managed to stitch together a run of good results in the end to pull through while Churchill Brothers were the unfortunate side to get relegated. After taking up the case of zero Goa based clubs in the I-league for the first time in a long time to the AIFF, Churchill Brothers were able to stay alive and fight another day. Fast forward to the present day and Chennai City FC and Churchill Brothers are again tied in an intense battle, this time though, the stakes are much much bigger. Chennai City FC are sitting pretty at the top of the table with 30 points in 14 games while Churchill Brothers are locked with a newly promoted side Real Kashmir with 28 points in the same number of games. For Chennai, Pedro Manzi has been their marquee player, banging in the goals, making sure that they outscore their opponents. His technique from the free-kick and his dribbling ability have seen him take the I-League by storm. His 13 goals have been a major inspiration for Chennai City FCs resurgent run at the top of the table. He has been ably supported by fellow Spaniard Sandro Rodriguez who has chipped in with 5 goals. From goals galore to solid defense, Chennai City FC have been consistent in both ends of the park. This has partly been due to a dominant midfield combination of Pravitto Raju (3 assists) and Charles Anandraj Lourdusamy. The midfielders have been a regular in the Chennai City FC lineup, mopping up opposition attacks and providing the ammunitions to Pedro and Sandro. This midfield combination likes to be on the ball and pull the strings which assists the beautiful artistry at the top. To parade on Chennai City FCs fairytale is another club with an emotional story. Real Kashmir, playing from the war-torn part of the country have been the biggest revelation of Indian football this season. They are currently on a run of 10 unbeaten games, keeping pace with the Southern toppers. Their Scottish coach David Robertson has adopted a route one no-nonsense approach to their football and have done brilliantly to apply it in I-League. Meanwhile, Churchill Brothers have reaped the rewards of the goals scored by league topper Willis Plaza (15 goals). Their defensive pairing of Hussein Eldor and Nenad Novakovic have been solid throughout the season and Rowilson Rodrigues has done a good job to fill in. Alongside Plaza, their Gambian midfielder Dawda Ceesay has been one of the best creative forces in the I-league with his 9 assists to compliment 3 goals scored. Churchill have been heavily reliant on the brilliance of Ceesay and the killer instincts of Plaza to compliment their solid defense and get over the line in most of the games. Their style of play is thus very one dimensional, focusing on getting the ball to Ceesay and hoping he can find Willis Plaza in good positions in front of the goal. Finally, East Bengal is doing all they can to keep pace with the runaway top three. But having played a game lesser than them, the Red and Golds will be hoping to get in the title mix and bring glory days back to the Eastern half of Bengal. Jobby Justin, their Indian striker has been in electric form, scoring 8 times and assisting 4 more goals. He has been, by far, one of the best Indian player in the I-league and has been ably supported by Laldanmawia Ralte and Jaime Santos to share the goalscoring burden. In the centre of defense, their Costa Rican World Cup player Johnny Acosta has been a commanding presence and has been ably partnered by Borja Perez. The Spanish-Costa Rican pairing have kept 3 clean sheets including their latest win over their fierce Kolkata rivals Mohun Bagan. 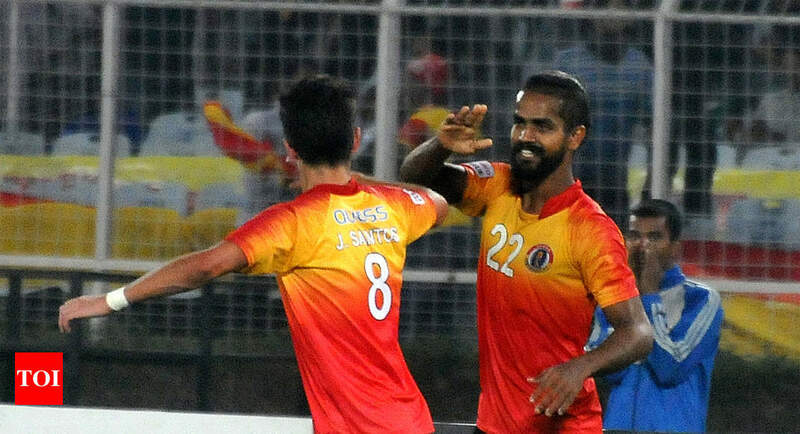 With 25 points in 13 games, one game less than the top three teams, East Bengal will be hoping to join the chain pack looking for a Chennai City FC slip-up to pounce upon and come closer to winning the I-league title.